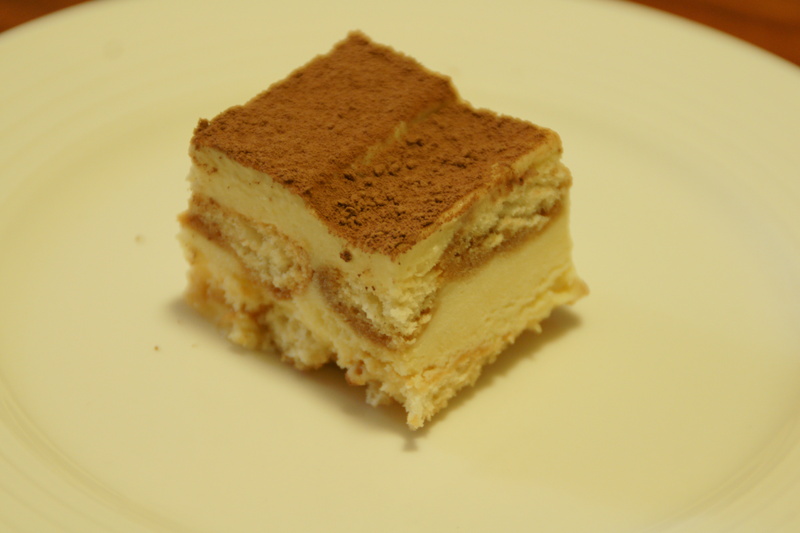 “Tiramisu” means “pick me up” in Italian (although according to Babel Fish it means “I pulls on”, which doesn’t really have the same ring to it). My mother-in-law told me that little children in Italy are often heard to call out “tiramisu” to their parents, which amused me. I can see my own Miss B, who is almost 2, saying “need tiramisu Mummy”, but in her case she would definitely be demanding cake! In any event, a pick me up was timely this week, in which both Miss B and her 4 week old brother (who shall be known here as Squirt) had been sick. We spent Tuesday night and all of Wednesday in hospital with Miss B (who is now fine and back to demanding cake), so that the ladyfingers were baked on Wednesday night as light relief. At the time of baking I had been awake for about 40 hours, minus a few of those ‘falling asleep sideways on a chair’ moments while in hospital, so I figured I had an excuse if they were a bit crap. They actually turned out relatively well but, as you will note from the picture below, I did not bother to sift the lumps from the icing sugar before sprinkling the biscuits, so that the biscuits are decorated with attractive icing sugar lumps. It’s a look that I’m sure will take off. I also lost motivation towards the end of the piping process, so that I only piped 24 biscuits rather than the 36 required. And those that I did pipe were, um, uniquely shaped. OK, they were crooked. The rest of the components were made the next day, without any particular drama. I used sherry in place of marsala for the zabaglione as I had no marsala or port and was too lazy to go to the bottleshop to buy some. I also used lime zest in place of lemon. 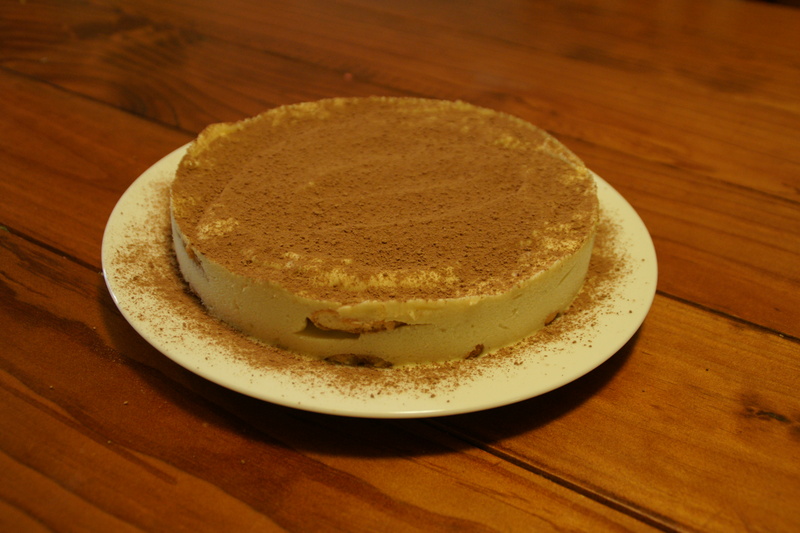 And, as I had fewer biscuits than required, I ended up with fewer layers in the finished tiramisu. Also, I think the biscuits should have been soaked for longer in the coffee, as the strongest flavour is citrus rather than coffee. Other than that, making the tiramisu allowed me a chance to spend some quality time with my friend the shiny red KitchenAid, which is a very good thing! mmm…breakfast tiramisu – biscuits definitely needed more coffee. As do I. This recipe makes 6 servings. 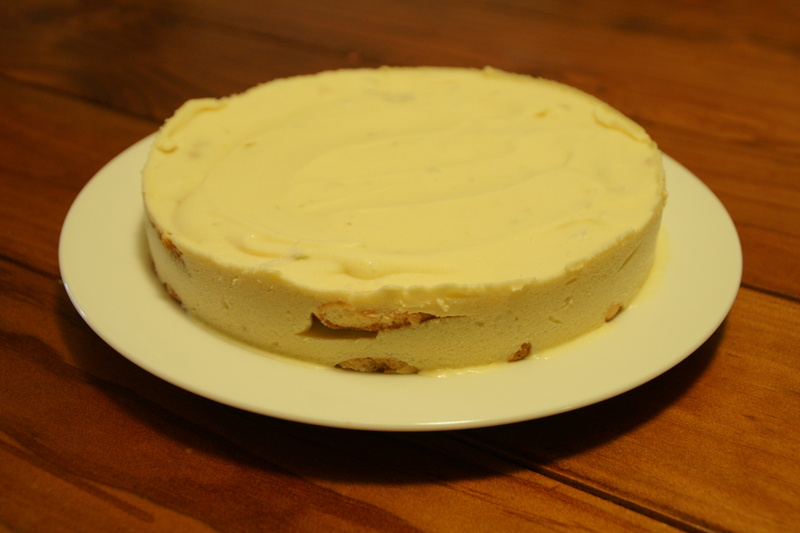 I have recorded the recipe using the measurements that I used, which were generally by weight. 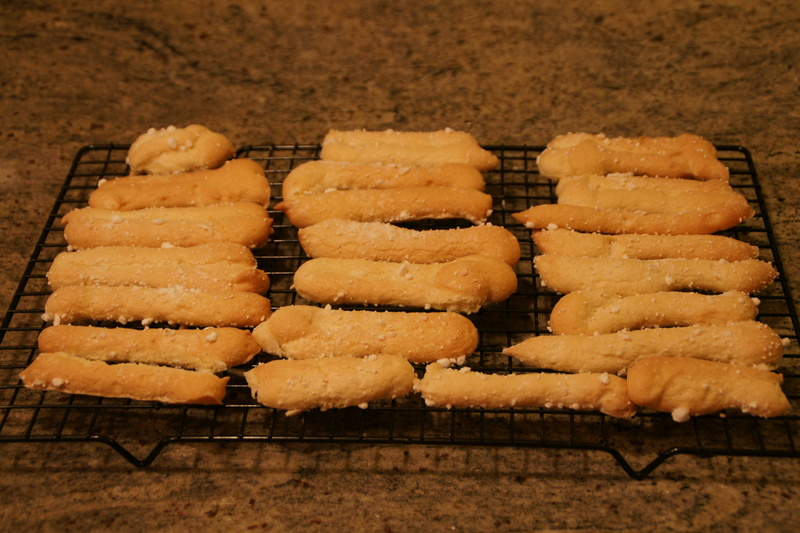 The recipe required making both the ladyfingers and marscapone from scratch. No cheating options allowed. I must admit that I wasn’t entirely sure what marscapone contained, so I was pleasantly surprised by how simple it was. And just surprised that it was essentially curdled cream. Oh my thighs. 1/4 cup/60ml Marsala wine (or port or coffee) – I used sherry as I had no port or marsala and was too lazy to go the bottle shop. yum…so you’re going to be my baking guru now? You wouldn’t prefer a guru who had some idea what they were doing? !